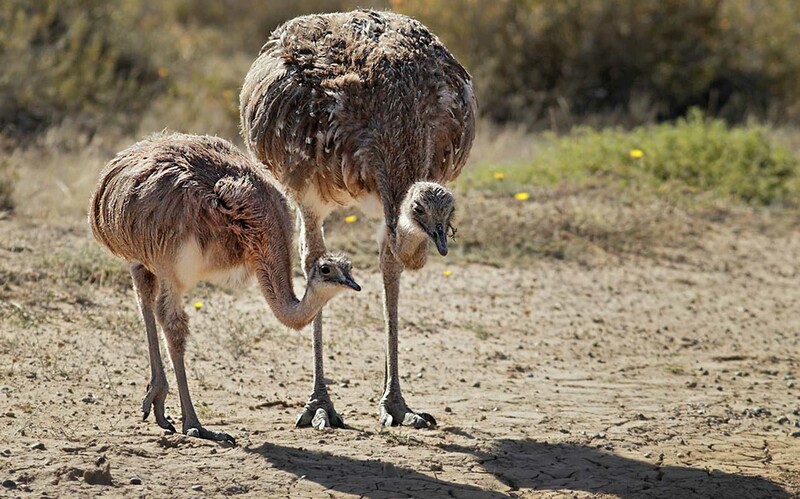 The inner part of the peninsula is inhabited by rheas, guanacos (American Llama), hairy armadillos, ostriches and maras (very similar to hares). A high diversity and range of birds live in the peninsula as well; at least 181 species. Our tour begins in the morning, when we head to Peninsula Valdes, which is an island united to the continent by a long strip of land called, in this case, Carlos Ameghino Isthmus. After 48 miles (77 kilometers) we make our first stop at the small interpretation center. 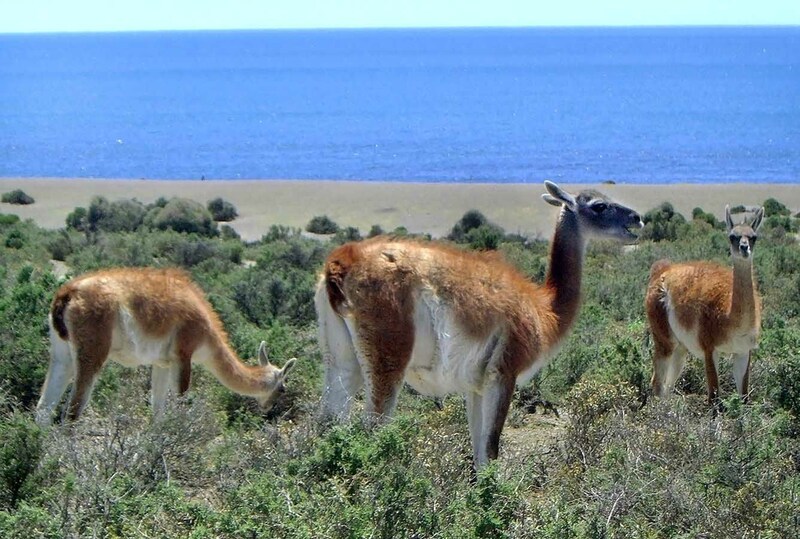 We continue our journey to our second stop: Puerto Piramides (Port Pyramids town) from where we’ll depart to enjoy a whale-watching navigation experience. We then head to the southeastern point of the peninsula: Punta Delgada, home to a colony of elephant seals. 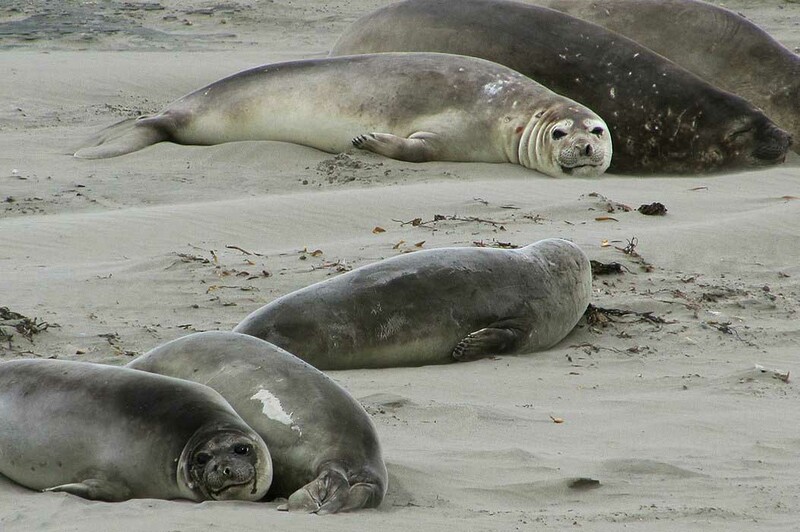 Peninsula Valdes has the largest continental colony of elephant seals in the world. 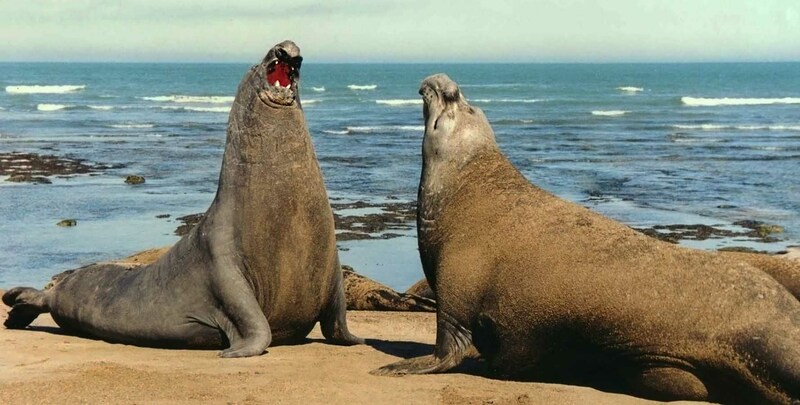 The elephant seal is the largest pinniped (seal) on Earth, with adult males weighing up to 4000 kilograms (4 tons), which is around 8 times heavier than a polar bear! They get their “elephant” name from their massive size and also the proboscis (the inflatable trunk-like snout) of the males, used to make a loud roaring sound to assert their dominance against other males, to establish their territory, and to defend their haram (group of females). During mating season, they can be very aggressive with each other. 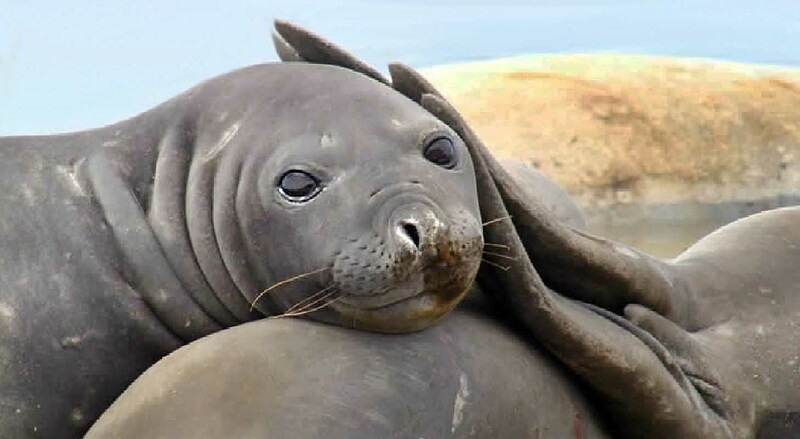 Elephant seals are excellent divers, and are able to dive up to 4900 feet (1500 meters) beneath the ocean’s surface, able to stay underwater for more than an hour and a half. An outlook balcony located near a cliff will allow for the chance to enjoy a panoramic look at the elephant seals colony. We’ll also have the chance to climb down a long stairway onto the beach to get to a closer panoramic viewpoint; however, we will still view them from a prudent distance. It should be noted that the stairs we take to see the elephant seals are a bit difficult to climb, so anyone now wishing to climb down the staircase can stay at the top and explore Faro Punta Delgada, or enjoy the view from the upper panoramic balcony. 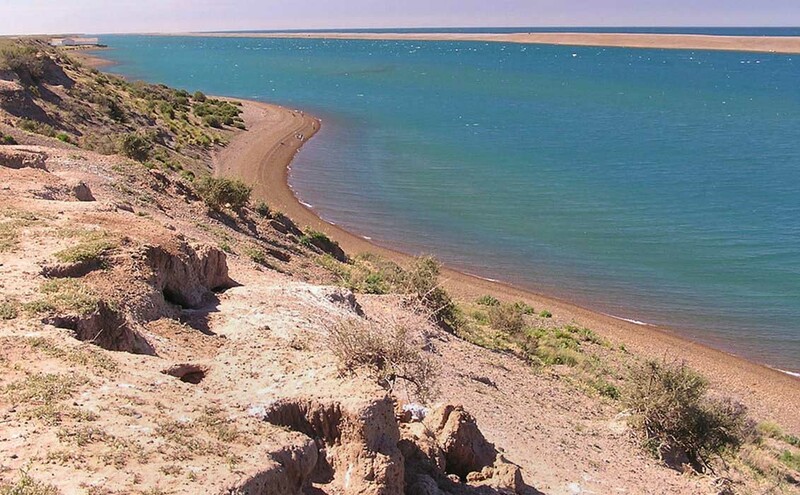 We then head to Caleta Valdes, a natural channel, which lodges a large variety of marine fauna. Caleta Valdes boasts the most spectacular panoramic views of the Peninsula Valdes. Elephant seals can be seen from a viewpoint that overlooks the sea; in addition to a small colony of Magellanic penguins. Depending on weather conditions, orcas may be seen from October to November and from February to April, when they feed on young sea lions. Please note that, while present in the area, they are certainly not easy to see. Orcas are the greatest predators of the seas and also among the fastest marine animals in the world; reaching speeds of 35 miles (56 kilometers) an hour! They eat several species of fish chief among them sea lions, sea tortoises, elephant seals, sharks and penguins. 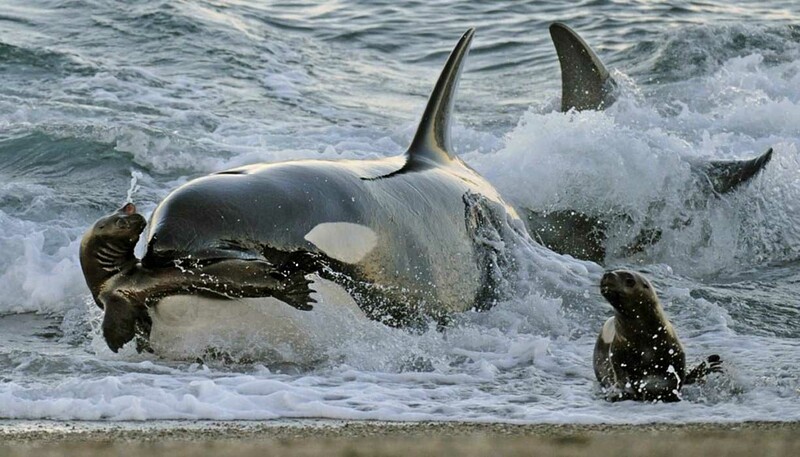 In Peninsula Valdes, orcas exhibit a unique behavior while hunting: they will quickly swim towards the shore and climb up onto the sand in order to prey on sea lions. The orcas in Patagonia are the only ones in the world who use this dangerous hunting method, where they leave two-thirds of their body exposed on the beach. They subsequently grip their prey in their strong jaws and slide back into the water. After an exciting day exploring the wildlife of the Peninsula Valdes, we will return to your hotel, with a camera full of unique memories to share with family and loved ones back home. Difficulty: none, except on the stairs that lead to the Elephant Seals panoramic viewpoint which are a bit steep and can be considered of a moderate difficulty. Travelers can skip this part of the tour if they have any physical disability. Duration: full day (approximately 10 hours from the time you leave your hotel until you return). Time for lunch is included but lunch cost is not included. Your tour guide will suggest places for lunch. Vehicle: group vehicle. The total driving distance is 250 miles (400 kilometers) long. Half is done on paved road, the rest if done on unpaved, gravel roads. Includes: entrance fee to Peninsula Valdes Reserve.